FORT ERIE, Ontario --- Airbus has delivered Canada’s first H145 helicopter to the Royal Canadian Mounted Police (RCMP). 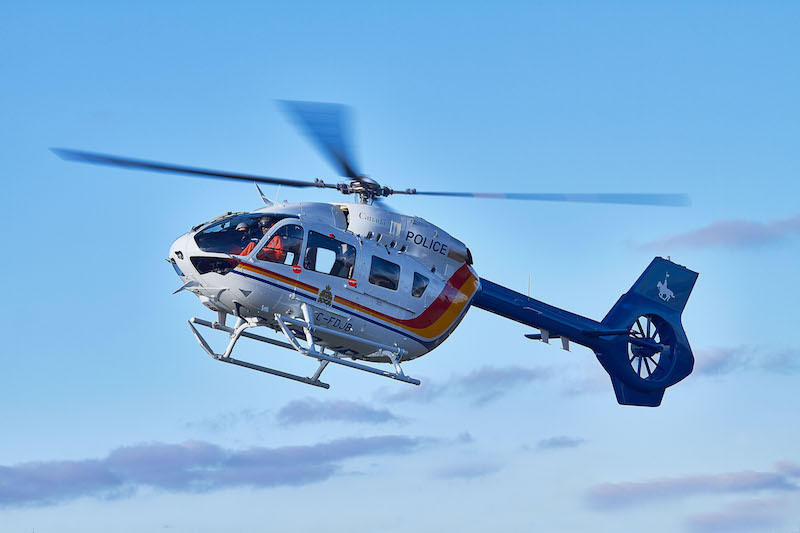 The versatile twin-engine Airbus H145 is the latest variant of the H145 family of aircraft. RCMP’s Air Support Unit will utilize the H145 for a variety of missions including surveillance and pursuit, fast roping, hoisting, Emergency Response Team operations, harbour surveillance and ship landings, and mountain search and rescue. The H145 has been equipped with a wide variety of mission specific equipment including external hoist and rope down device (for 2/1 persons), Trakka A800 searchlight, Enhanced Reality System, Health Monitoring System (HMS), FLIR, Night Vision Goggles, Tactical Flight Officer (TFO) workstation and internal long-range fuel tank system. The Airbus H145 leads the light twin-engine helicopter market, incorporating an innovative Helionix avionics system and 4-axis autopilot. The aircraft's combination of speed and performance, along with the Fenestron shrouded tail rotor, large cabin and rear-loading clamshell doors, makes it the aircraft of choice for a variety of civil missions worldwide.